Northern Beaches Interchange (NBI) CEO Carolyn McKay recently graduated from the inaugural NDIS Accelerator Program with the School for Social Entrepreneurs(SSE). 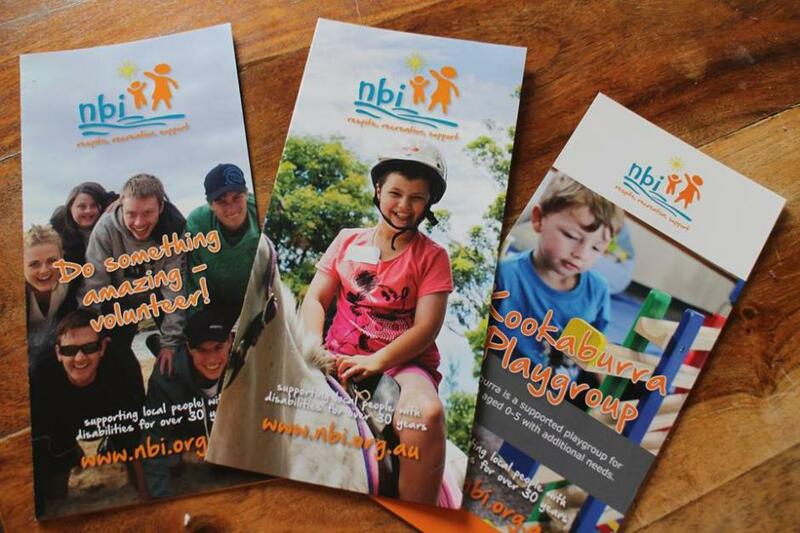 During the week we spoke with Carolyn McKay, CEO of NBI about this Program and what is coming up for Northern Beaches Interchange regarding the rollout of the NDIS Program. What is the NDIS Accelerator Program with the School for Social Entrepreneurs(SSE) ? The School for Social Entrepreneurs (SSE) Australia’s NDIS Accelerator is a unique learning program that helps build organisational capability to meet National Disability Insurance Scheme www.ndis.gov.au (NDIS) objectives. I was privileged to be one of only 20 participants from across Australia to participate in the inaugural program, graduating in June 2015. Participants are supported to develop skills and tools to apply into current business models or to actively develop new enterprises in response to the opportunities that the NDIS presents. The NDIS Accelerator utilises SSE’s 17 years of social enterprise development experience tailored to the reform agenda of the NDIS. What did it involved and what did you come out of it with? It involved a 4 month program with 12 days of face to face learning focussed on the reform Agenda of the NDIS ,innovation, Business acumen, Business planning, financial modelling, change management and leadership as we supplemented by 26 Webinars with key people in the UK . Each participant was also linked with a Mentor to support their learning and business venture. I learnt enormously from my fellow participants and from the high calibre presenters that SSE put together. I feel energised to lead NBI through a period of unprecedented change and the most significant reform Agenda in Australia since the introduction of Medicare. Whilst no one has all the answers we are an important part of the future and ensuring that people with disabilities have access to a real marketplace with real choices to live the life they choose. How is NBI placed to adjust to NDIS - what will be the big challenges in relation to its range of programs? NBI is excited about the opportunities that the reform agenda of the NDIS presents for people with disabilities. It is an aspirational agenda aimed at supporting people to achieve their goals and receive the required supports to live an ordinary life, based on an important entitlement to receive reasonable and necessary supports rather than the current “rationed “”system. A significant challenge is the change from a reasonably stable block funded government system of funding 3 months in advance , to an individualised system invoiced retrospectively and one in which the price is currently fixed at what is widely recognised to be an unsustainable rate. NBI is currently reviewing our existing offerings to ensure their viability and will be innovating around new offerings in response to customer demand. How long is it expected for this changeover to occur? The full rollout of the NDIS in NSW commences from July 1 2016; we are anticipating that the timetable for the rollout including the dates for Northern Sydney will be released before the end of the year. Is NBI able to provide advice and help to families who will need to access NDIS? NBI is committed to providing information to families and are happy to talk individually to families about both how they might start to plan for the sorts of reasonable and necessary supports and services they would like when the scheme rolls out, and how NBI might support them. We are planning a workshop later in the year and will provide regular updates through newsletters and individual conversations. Please contact us at the office if you would like to find out more. Whom should people contact at NBI if they are worried about the changes and need clarification ? I would welcome the opportunity to talk to anyone about the changes that the NDIS will bring. Have you heard the news? One Friday a month, starting from 17th July 2015 there is a new Carers Cafe held overlooking the beautiful beach at Warriewood SLSC. We provide a relaxed environment and a delicious morning tea for anyone in a carers role, even if you do not access any other of NBI's services. Its a great opportunity for you to learn and share information that may enhance your caring role or improve your well-being. Please register your interest at sally@nbi.org.au or call 02 9970 0500 and ask for Sally or Louise.